OUTRIGGING: Conditions were far from ideal but that didn't stop Canoe Point Outrigging Club from producing solid performances at its home regatta on Saturday. 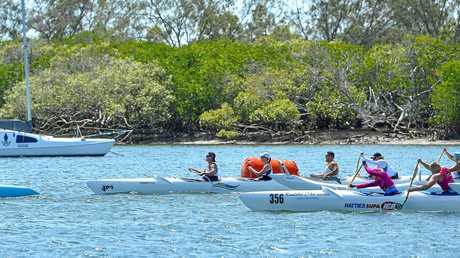 Round 1 of the Australian Outrigger Canoe Racing Association North Queensland Zone Regatta was held at the Boyne River after strong winds forced the event to be moved from its original venue at Tannum Sands beach. While the water wasn't as choppy as the open ocean, paddlers still had to contend with east-southeast winds that topped 20 knots at times throughout the day. Canoe Point Outriggers head coach Col Hurst said most of the experienced competitors fared well in the wind, but it did lead to junior events being cancelled. 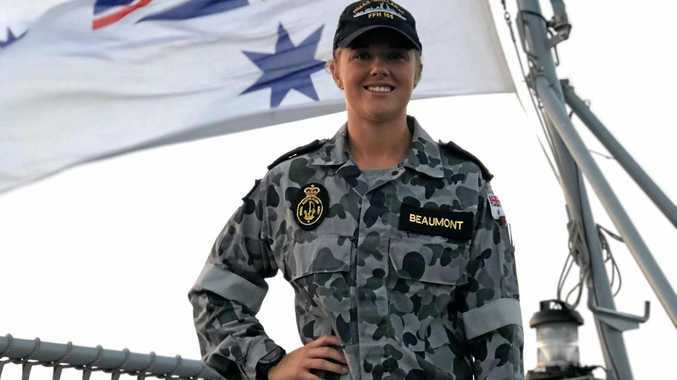 "Some of the juniors crews had a harder time managing the wind so we had to stop some of the one- and two-person craft for the younger competitors which was a shame, but paddler safety is important," Hurst said. "The wind kept changing around. "In the sprints it was right behind us, but we had an out and back course and the way the river runs it's a bit of an S-bend so at times it was doing different things." Adapting to certain wind and tide conditions are practised during training in an effort to find the 'good water' and those skills came in handy on the day. "The water changes so you can find shelter in the river from the wind and find shelter from a ripping ride so it's about learning where the smart or fast water is," Hurst said. 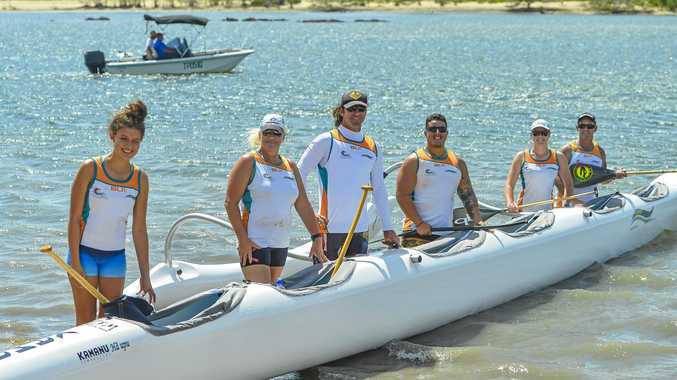 Competing alongside more than 150 paddlers stretching from Airlie Beach to Bundaberg, the home water advantage gave the Canoe Point team an extra lift. "Our Open Men came third in the 12km race and the best result for our Open Mixed teams was fifth and the other one came ninth," Hurst said. "Early on we made a decision we were only going to field one team in the sprints and they made the final and just missed out on a medal to come fourth... It can be a race of millimetres, the sprints." The Boyne River regatta was the first of five rounds in the AOCRA North Queensland Zone Grand Prix and Hurst was ecstatic with how smoothly the day ran. The next round will be held near Cairns, although Canoe Point won't send a team north until Round 3 at Airlie Beach on May 5.